I used to work in an office building which, when it was renovated in the early years of the millennium, was named “Future Walk”. We had a consultation period before the name was finalised, and I made a comment that, in a few years, when the building was a little older and the cracks had started to appear, the word “future” would look a little silly. 2018, and everyone who still works there probably hates saying “Future Walk” when giving the address to a building which definitely doesn’t belong in the future. Which is how I feel about the sport at the centre of this movie. I can sort of buy the title being the way it is, as it is, indeed, set in the future. But why do the people in the movie call their sport, which takes place in their present, “Futuresport”? These are the sorts of things which bother me, dear reader. It’s New Orleans, 2025, and it’s Championship Sunday! The LA Rush are playing the Berlin Griffins, and LA’s captain is the world’s most famous man, Tre Ramzey (Dean Cain, fresh-ish off the Superman TV show). He’s in a relationship with the world’s most famous woman, Lorelei – we know they’re the most famous because they spend a lot of time talking about their PI score (Popularity Index), the be-all and end-all of people like them. Tre is sort of a douchebag, a star player who thinks he should take all the shots, but he’s nice enough that his teammates help him out when a group of Hawaiian Liberation Army terrorists invade a pre-match press conference and try to kill him. Futuresport is a cross between skateboarding and basketball, with a healthy dose of “Rollerball” in there too. It’s set in a skate-rink, on hover-boards (actual hovering boards, not the stupid thing with that name that was briefly popular last year), with a metal ball that has to be thrown into a small circular goal. Each team defends their goal, but despite the smallness of it, no-one ever seems to miss and there’s only one example in the entire movie of a team successfully stopping a shot. Oh, and after you hold onto the ball for five seconds, it becomes electrified, encouraging you to pass it – to successfully hold on to the electrified ball is called “riding the lightning”. Presumably, no-one told the moviemakers that’s what they call death by electric chair, or maybe it’s a subtle joke about appropriation of old phrases in the far-off future. So, we’ve got Dean Cain, his fame-obsessed girlfriend, and his teammates. Who else? There’s a TV reporter, Alex (Vanessa Williams), who’s also Tre’s ex-girlfriend; and the creator of Futuresport, Obike Fixx. He’s played by Wesley Snipes, who’s also the producer of the movie and listed at the beginning as “special guest star”. His character’s whole thing is opposition to the corporate behemoth that Futuresport has become – he set it up as a street game to help prevent gangs from battling each other. His initial speech while being interviewed by Alex has a lot of parallels to how American sports like baseball are organised today – it’s not a competition between teams, it’s a racket run by the owners of those teams, where everyone makes a profit and the players are given an increasingly small slice of the pie (and the fans are completely ignored). I want to give Vanessa Williams credit for giving us the line “Futuresport used to mean something” while keeping a straight face, though. LA lose the championship game, and immediately all Tre’s sponsors drop him, his girlfriend leaves him, etc. Seems a little weird, but maybe it’s a sport where only the winners are worth advertising with? Anyway, you’d think he’d start spiraling downwards, but a quick pep-talk from Alex and some support from Obike Fixx and he’s back, with a press conference suggesting a game of Futuresport between the USA and a rough grouping of Pacific nations for control of Hawaii. Turns out Australia has been bankrolling the terrorists, for some reason? But, most importantly, never let the opinions of the actual people of Hawaii get a word in (quite a lot of Hawaiians don’t consider themselves American, even now). Everyone immediately agrees to this game, and there are the obvious twists and turns – one of the good guys definitely has bad intentions, and one of the bad guys secretly respects the honour of the good guys. You know the routine. There are training montages, one of my favourite things about this sort of movie, and lots of touches which elevate it above the normal sort of thing we cover here – Tre has a house computer with a camp English accent, and for a movie made when the internet was still in its infancy, it predicts a number of things about the future with a surprising degree of accuracy. My favourite is how it inadvertently invents Twitter, when Tre reads his “messages” and it’s just random people hurling abuse at him! But then it also has another great line, said with complete seriousness – “It’s hard to believe that this game will replace war”. So, it’s a decent example of the typical fare we found towards the end of Blockbuster’s reign of dominance – big budget, lots of names you’ll recognise, high-ish-concept. I don’t buy the central character’s conversion to the side of good, as he doesn’t get anywhere near rock bottom, and it’s kind-of morally simplistic, like an episode of daytime TV (it is a TV movie, I guess), but it’s good cheesy fun, all told. 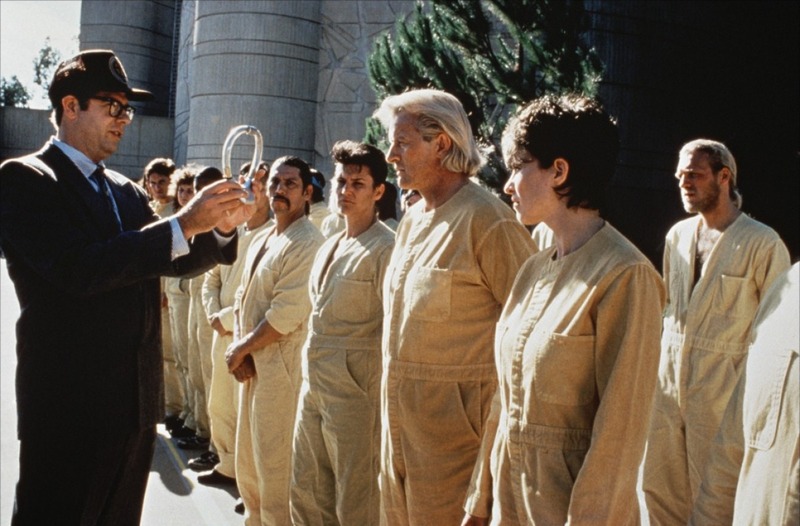 If you’re desperate for a movie about sport, set in the future, then go for “Rollerball” or “Salute of the Jugger”, but if you’ve seen them and are still hungry, this would be okay. This is one of those great sci-fi B-movies that seemingly sprang up everywhere in the 80s and 90s. Frank (Hauer), Noelle (Chen) and Sam (James Remar) are robbing a bank vault which has $25 milion worth of diamonds in it – Frank and Noelle are engaged, but she decides to betray Frank and throws her lot in with Sam, after a hell of an escape sequence. 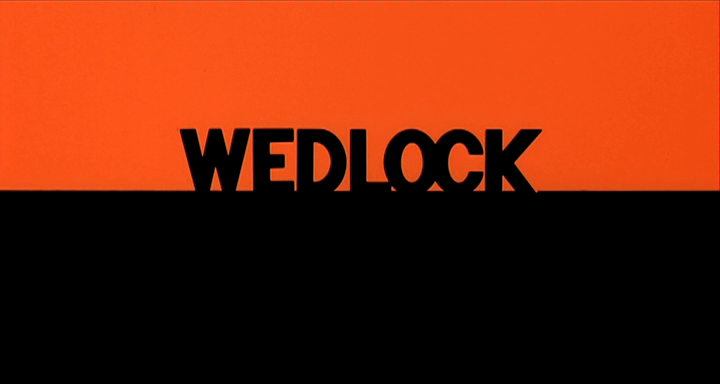 So, after getting shot, he ends up in future-prison, and that’s where Wedlock comes in. It’s sort of a clever system – no walls, very few guards, regular male-female “alone time”. Every inmate is fitted with a metal collar with C4 in it, and as long as you don’t go 100 yards from your wedlock partner, you’re fine – problem is, you don’t know you’re wedlocked to. There’s a line indicating a hundred-metre diameter circle, as long as you stay inside it you’re always safe. The inmates spy on the other inmates, because no-one wants to get their head blown off – if your partner makes a run for it, you’re done for too. You misbehave and you get put in the “The Floater” – a large coffin full of water, pretty much. 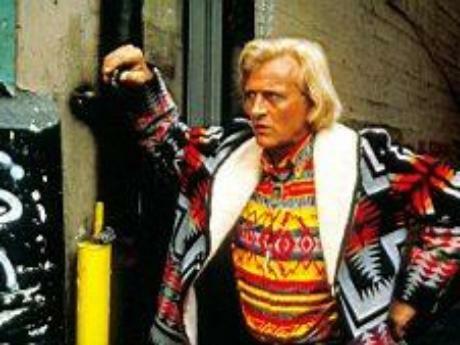 This is a pretty cool setup for a movie, but it’s only half of it – Hauer ditched the diamonds before being double-crossed, so no-one knows where they are; and Tracy (Mimi Rodgers) has figured out that Hauer’s her wedlock partner, and she wants out, reasoning that as long as they stay together, they should be fine. So the rest of the movie is chases and double-crosses and the two of them desperately trying to stay within a hundred yards of each other. There’s a few flaws in the Wedlock system (some savant on the IMDB message board clued me in) but never mind that, because this is fun! 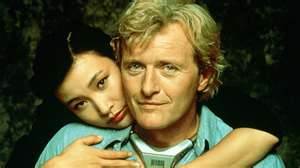 Hauer and Rodgers make an unlikely but good team, Remar and Chen relish playing their OTT bad guys, and there’s a memorable turn from Stephen Tobolowsky as the prison warden and inventor of Wedlock. There’s a very brief early appearance from Danny Trejo too, seemingly pre-at least some of his tattoos, and a few good visual gags…it’s just a strong, entertaining movie with a clever central idea, and it’s absolutely worth a watch. If anything, it uses its plot points too quickly! 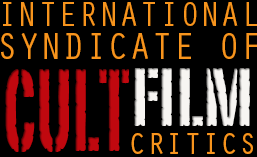 The direction from Lewis Teague is okay, nothing too flashy or interesting (his IMDB bio’s first descriptive word is “efficient”, which says a lot). This movie is also a minor entrant in the “Cubs win the World Series” range of movies. If you want to indicate you’re in the future, or an alternate reality, this is the trick that many many movies have used. For those of you who don’t like or follow baseball, the Cubs are the unluckiest team in the sport, having not won the main prize for over 100 years (this list gives a breakdown of all the things that have happened since). This trope is most famously used in “Back To The Future 2”, when the year of the Cubs drought-breaking win is…2015. If they actually win next year, get ready for the internet to explode.